"Dr. Vazquez enjoys an excellent reputation among his peers. I asked two hygienist friends, and they both spoke highly of Dr. Vazquez. They told me a little about the choices of doctors I had to pick from, and Dr. Vazquez sounded like my best choice. I have been happy with that decision. The implant has saved me from having a partial plate and helped me feel better about the future of my mouth as regards dental care. Being able to rectify a problem helped abate any negativity regarding my oral health issues. The transition was a smooth one from losing my original tooth and replacing it. Dr. Vazquez remains professional and exhibits a calm demeanor of confidence. Most importantly, he does a good job. The work Dr. Vazquez and his staff perform help me to feel that wrongs can be righted. No longer do you have to live with a less than desireable result of what life might deal you. Your mouth can be put back like it was or like it should have been. For me there has been no pain or discomfort. 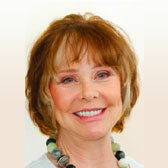 I am happy that I have avoided having a partial plate and have enjoyed the security of a permanent replacement tooth." "I had few natural teeth, all of which were misaligned with a cross bite. Dr. Vazquez removed most of my teeth and installed implants and dentures all in one day. 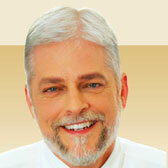 Dr. Vazquez is very friendly, professional and helpful. My teeth, although still temporary fixed dentures, function well and look great." The service provided was excellent. Dr. V is awesome. The front desk staff is helpful when comes to making appointments. They work with your work schedule. The experience I have had with Dr. Vazquez and his staff exceeds all expectations. They are excellent, caring, attentive, and go above and beyond. Great staff, always friendly. They are always able to educate me with the things I need to do to maintain good healthy gums. Love love love this office. This office exceeded my expectations. I had so much anxiety for my first visit and the staff was nothing but great...They made me feel so relaxed and comfortable. Thank you, thank you! The explanation of upcoming procedure was clear and understandable. Medical and clerical personal is professional and caring...Looking forward to continue the program Dr. Vazquez recommended for my case. The staff was friendly and helpful. They were also personable. Dr. Vazquez explained things in detail to me so I had no questions about the procedure. Dr. Vazquez and the entire staff do an outstanding job. Everyone is as kind and attentive as they can be, My regular dentist referred me to them and my experience has been excellent. Thank you very much. I have had gum grafts over the years from several periodontists. Dr. Vazquez is by far my favorite...Everyone in his office is so kind and caring. Very comfortable environment and everyone there made the appointment go very smooth and they answered all of my questions...I would definitely come back here and recommend it to family and friends! Dr. V and all his office staff are excellent...He and his staff made me feel very comfortable. I would recommend this doctor to anyone who has problems. As always I felt calm and confident visiting Dr. Vazquez's office. The staff is super friendly and Dr. Vazquez is phenomenal... I would recommend him to anyone that is looking for a great dentist.